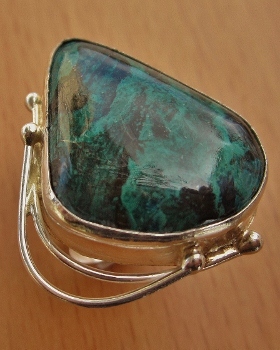 Handmade Sterling Silver ring set with asymmetric genuine Eilat Stone . One of a kind. Please specify ring size at the end of your order under "Comments or Special Requests".